A new biography of the luminous folk singer and musical icon. Mitchell deserves more musically sophisticated treatment, though this is serviceable enough as a straight fan-notes homage. 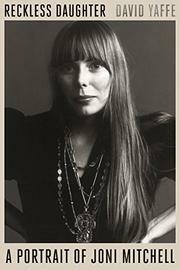 Readers wanting to go deeper into the art would do better to start with Malka Marom’s Joni Mitchell: In Her Own Words (2014).